How Does Astronomy Advance Medical Imaging, and More? Your contributions will support Dr. Alyssa Goodman’s Astronomy research group, the “Seamless Astronomy” collaboration, and WorldWide Telescope Ambassadors Program. Donations will help expand and extend each project to make further impact, as Dr. Goodman increases her software presence and builds robust programs for facilitating research for her team and other researchers, and educating students and the public. Partner with Dr. Goodman to break through all frontiers of science with astronomical and computing technology! Astronomy research has not only redefined our understanding of where and how stars form in our Galaxy, but it has also acquired phenomenal amounts of data that scientists can draw from. However, much of the abundant data produced by current research is still being hoarded on the hard drives of an individual research team, slowing progress. Often, answers could be at the fingertips of researchers facing a prevailing problem, and data must be aggregated and shared to quicken the discovery process. 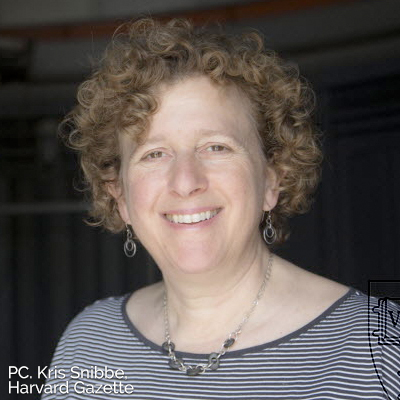 Dr. Alyssa Goodman, Robert Wheeler Willson Professor of Applied Astronomy at Harvard University, provides a number of platforms to “accelerate the pace of science” for scientists across multiple disciplines, and her team. Motivated to make an impactful difference, Dr. Goodman expands her influence beyond astronomy and brings people together to encourage collaboration, creating data visualization, and online systems for research and education. Named the 2015 Scientist of the Year by the Harvard Foundation Dr. Goodman leads the “Seamless Astronomy” collaboration at Harvard and is the Founding Director of the Initiative in Innovative Computing (IIC) at Harvard. From 2005-2008, she led the IIC, teaming computer scientists up with disciplinary scientists to give each the opportunity to make the world's most important scientific challenges more tractable. Her expertise in utilizing resources and conducting swift computational analyses has more broadly allowed for improved and longer-lasting reuse of data, which is increasingly the most efficient path to new discoveries in science. To emphasize the importance of computer simulation in our everyday lives, she is also working with her Harvard colleagues to create a new set of online learning materials, called PredictionX to help educate the public. Breakthroughs in the software she is developing have life-saving applications in medical imaging and genomic analysis, and her work in science education, particularly in using new technologies in teaching, is improving and accelerating what people -- scientists and the public alike -- can learn about the world, and the Universe, around them. Astronomy Research: Dr. Goodman studies how stars form in our Galaxy, the Milky Way. At present, her group has many projects ongoing, ranging in scale from studying the earliest known tiny cluster of proto-stars to studying the full distribution of star-forming gas in the Milky Way. One of their most exciting projects has to do with their discovery of a new class of gas clouds they have named the "Bones of the Milky Way," that can be used to map out the Galaxy's spiral structure with much higher resolution than has ever been achievable before. The team is also creating a new catalog that describes where “all” of the dense gas in the Milky Way lies, using a technique that relies on the same kind of "tree" diagrams that Charles Darwin used. That catalog will be used to compare our Milky Way to the billions of other galaxies we see in our Universe, providing more insight into the structure of the Universe. Glue, a package for "linked view" visualization that is being developed in part for visualizing the data to come from NASA's successor to the Hubble Space Telescope, called "James Webb Space Telescope (JWST)," and which has tremendous potential in medical imaging. Traditionally, researchers spend too much time on data wrangling, or getting the data into a format useful for asking the questions that they want to ask. Glue, on the other hand, lets users open many datasets at once and interconnect certain attributes of the data, in order to create and then dynamically-link different kinds of visualizations, including maps, charts, three-dimensional cubes, etc. Working with an interdisciplinary team of researchers across multiple domains, Dr. Goodman focuses on addressing the unsolved problems in computer graphics regarding three-dimensional selection. The digital ability to define a 3D shape of data-driven object will not only facilitate astronomical research but radically improve medical image analysis and change millions of lives. Dr. Goodman envisions the Glue software, motivated in astronomy, helping surgeons combine and analyze various modes of 3D medical imaging with other diagnostic data, dramatically advancing “astronomical medicine,” a field in which she is considered a pioneer. The ADS All Sky Survey, which includes heat maps of the Sky showing which parts of the Sky have been studied most, and for what reason, at what times, as well as links to the underlying articles in the distribution. Authorea, an online system for collaborative work on scientific articles, based on GitHub. Authorea is now a startup, with $600K in venture funding, and Dr. Goodman is its Senior Scientific Advisor. One Authorea document authored by Dr. Goodman offers a demonstration “Paper of the Future,” and showcases technology that Dr. Goodman thinks is important to embed in scholarly documents in the future. An online platform for writing and managing scientific documents for not only astronomical researchers but for researchers across all fields, Authorea allows data sharing, interactive graphics, and smart permanent links to data sources. Authorea’s creators hope to facilitate better, more shareable and reproducible, research, while saving people time. Evangelizing: In order to inspire more researchers to use (better) data visualization in their work, Dr. Goodman teaches an undergraduate course at Harvard called "The Art of Numbers," and she speaks to a diverse array of groups beyond Harvard. Most recently, she was one of the four speakers at the "See, Think, Design, Produce" advanced course on data visualization hosted by Edward Tufte in February 2015 in San Francisco. Education Research, and Technology in Education: The WorldWide Telescope (worldwidetelescope.org) is an incredible “Universe Information System” developed by Dr. Goodman’s colleagues at Microsoft Research, on which Dr. Goodman is the principal astronomer-consultant. In 2008, Dr. Goodman founded the Worldwide Telescope Ambassadors (WWTA) Program (wwtambassadors.org), which uses WWT to engage learners all over the world in STEM. See wwtstories.org for ways that WWT is currently being used to reach a variety of audiences. WWTA has both formal (in-classroom) and informal (online, science fairs, etc) activities, and the education research she has done to measure and optimize the efficacy of WWT in teaching shows that students are both more engaged and more educated when interactive, beautiful, and data-rich environments like WWT are integrated into curricula. Dr. Alyssa Goodman grew up in New York City exposed to the advantage of the culture and experiences available to her. She has always been curious about the world, and an accidental "observer" of little details. It wasn't until college though that she realized it was possible to become a professional researcher, and in graduate school is when she learned that "observer" is actually what one calls an astronomer who acquires and uses actual data to learn about the Universe. During her time at MIT, as a three-summer intern at an NYC consulting engineering firm, Dr. Goodman became so frustrated with some of the practical shortcuts and approximations necessary in engineering work that she looked up NASA in the Manhattan Yellow Pages and called the listed number. It turned out that the number was for the NASA Goddard Institute for Space Sciences at Columbia University, and that "GISS," as it's known, had an internship program she could apply for in the next Summer. When she returned to her Junior year at MIT, therefore, she had planned to apply to NASA for her next internship--but then, during that same year, she became very interested in Anthropology, thanks to a course on ancient Chinese Bronzes, which was one of a few archaeology and anthropology courses she took at MIT and Harvard while an undergraduate. Dr. Goodman learned that she could apply to join an underwater archaeological dig the same summer she was thinking of working at NASA, and that she could also apply for a fellowship through MIT to support the dig. Naturally, Dr. Goodman applied to both NASA and the dig, as well as for the fellowship she would need to pay for the dig option. She was accepted to NASA, where she was to be paid the sum of $2000 for the Summer, which was a huge sum at the time, and she was accepted to the dig, which would cost $4000. She came in "2nd" in the funding competition to support the dig, however, and had no money to pay for it. The clear choice was to accept NASA's offer, and she likes to say that she may be the only person she knows who "went into Astronomy for the money!" During her Summer at GISS, the formal coursework focused more on Earth Science than Astronomy, and Dr. Goodman was lucky enough to learn about climate modeling from James Hansen, who was at that point in 1983 just starting to realize how bad global warming could really be. Dr. Hansen is one of the world's most vocal experts on the importance of addressing climate change, and Dr. Goodman strongly believes that it was her experience with Dr. Hansen that led to her lifelong commitment to educating others about the importance of computer-modeling and simulation in our lives today. Dr. Goodman’s research project at GISS wound up being focused on how one might use the polarization of starlight caused by magnetically-aligned tiny particles in space called "dust" to map out interstellar magnetic fields. This was a really interesting and untapped field at the time, and Dr. Goodman decided to pursue a theoretical thesis on dust grain alignment during her senior year at MIT. During the course of writing a thesis, she realized how much she liked research, so she applied to graduate school in Physics although she had a hard time deciding not to pursue banking, or a graduate career in Anthropology, instead. In graduate school, at Harvard, Dr. Goodman decided to pursue magnetic fields further. As part of her thesis, she used Arecibo, the world's largest radio telescope located in the jungles of Puerto Rico, to actually measure the strength of magnetic fields in the dense gas clouds that form stars, which added key constraints to the theory of how stars form. This particular kind of measurement -- of the "Zeeman effect" in emission from molecular gas -- had never succeeded before, and so her thesis achieved enough notoriety that getting a postdoc at Berkeley, where she wanted to go next, was not difficult. At Berkeley, Dr. Goodman expanded her research agenda to include many topics related to star formation, and techniques that spanned the electromagnetic spectrum from optical to radio wavelengths. 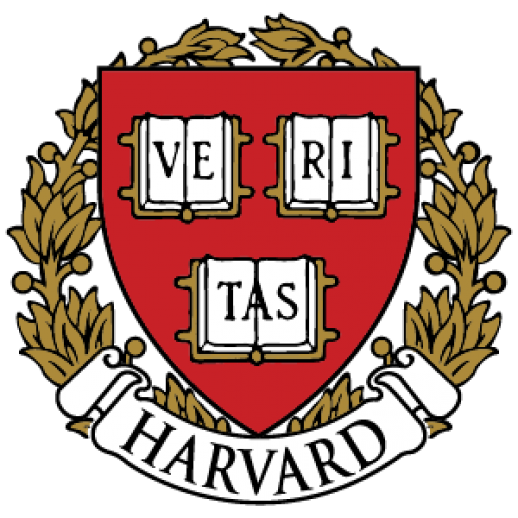 As a postdoc Dr. Goodman made some significant contributions to gain her a faculty position in 1992 at Harvard, where she began the myriad programs that she continues to engage in today. What Can WorldWide Telescope Do for Me?